It is the most complete, in depth manual I have found and it works 100%. Get your soldering up to scratch… You will need it. I have connected the RPi to the 2*16 LCD and displayed the streaming information to the screen. I have created the PCB with all the resistors and connections. I have connected the buttons and the UP/DOWN-LEFT/RIGHT-MENU structure works 100%. 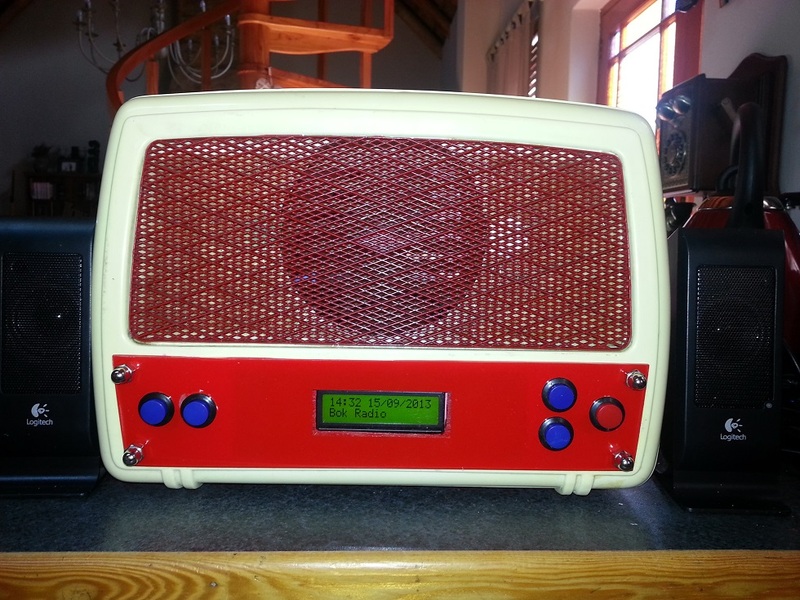 Restore a radio-box (Old radiogram) to fit components into. Decide if an AMP will be built into the box in (1). If so, decide how it will interface into the entire system. Add decal and more onto the restored box. Ok, this post will also be ongoing. What I intend to do is use a Raspberry PI as an Online Radio Streaming device for my wife. Of all the components (except the encoder) was available locally. I have to ship one of these more than 3000km! The system will be built into an old Radiogram I found. Version 2.0 of the software now supports rotary encoders. See http://www.bobrathbone.com Raspberry Pi.